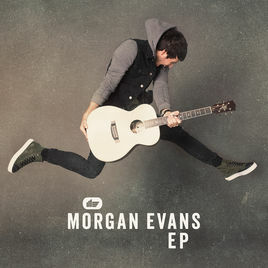 For years there has been one Australian country singer dominating the limelight in Nashville, however, recently Morgan Evans has been making his own waves. For the last five years, Evans has been increasing his presence in his native Australia and is on course to do the same in America. There’s no guessing needed for the theme behind the opening track – Day Drunk. A feel-good song sending the positive vibes, the perfect song sitting in the garden when the sun is shining with your sunglasses on and a cold one in your hand! On an EP where it is difficult to pick an individual highlight, Kiss Somebody continues the trend with the boy meets girl story of the build-up to a first kiss in the back of a cab or on the subway train! Before you know it, the final track has arrived and I can guarantee you’ll be about to hit shuffle one more time as you will just want more. As the end of the UK heatwaves approaches there’s still time for more BBQ’s and Morgan Evans may well have just released the summer anthem of 2018 with Young Again. “Drunk on love and whiskey shots, so what if the clock says 2am, and we’ll raise a glass to the wild and free, we’ll never be this young again” could be the lyrics that will stick with you for the never-ending summer of sun and BBQ’s. There is only one question to conclude this review with. Why has Morgan Evans only given us five songs? It may only be five tracks long, but this could be the album you have on repeat.